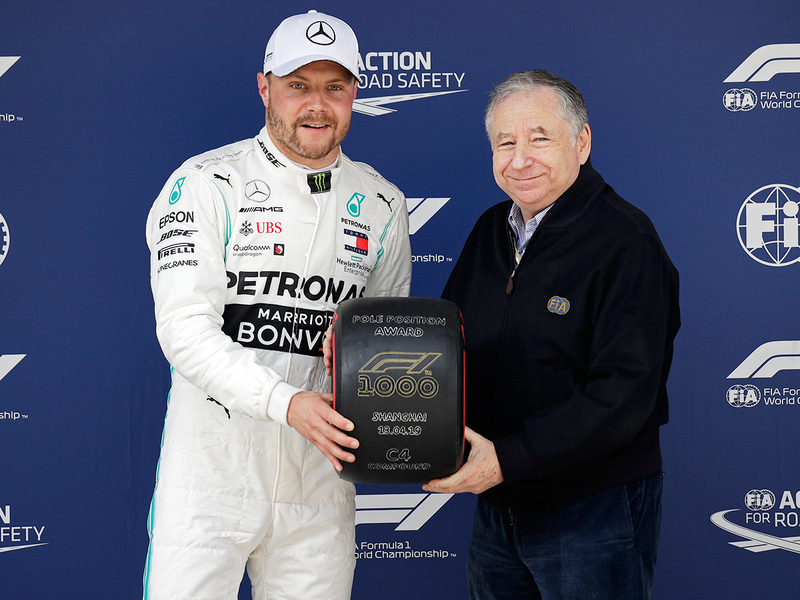 Shanghai: Valtteri Bottas pipped Lewis Hamilton to pole position for the milestone Chinese Grand Prix on Sunday in a dominant Mercedes front-row lockout. “The car has been really good this weekend and Lewis also improved a lot in qualifying, it was super close,” said the flying Finn Bottas, who is beginning to climb out of the shadow of his more famous teammate. Vettel, the four-time world champion who has been in the spotlight after a series of unforced errors stretching back to last season, was 0.301 secs off Bottas. The German this time got the better of his decade-younger Ferrari teammate Charles Leclerc, who is fourth on the grid and has failed to so far to match his performance last time out in Bahrain. Fifth was Red Bull’s Max Verstappen and sixth his teammate Pierre Gasly. Seventh and eighth were the Renault duo of Daniel Ricciardo — last year’s victor in China — and Nico Hulkenberg. “Valtteri’s been stellar all weekend ... There’s more time left on the table, but I’ll try and get it tomorrow,” said Hamilton, who snatched victory in Bahrain after Leclerc’s Ferrari failed. His car was badly mangled and there was a frantic call from engineers asking if he was OK.